Samsung J7 2017 SM-J730F ENG Modem File mainly used for advanced maintenance, there are some reasons to use this File. Modem File is the baseband file for Samsung Galaxy devices, by the builder, We do not test these files. Modem file, help you to fix and repair unknown baseband problem and restore original IMEI in your Samsung Galaxy devices. 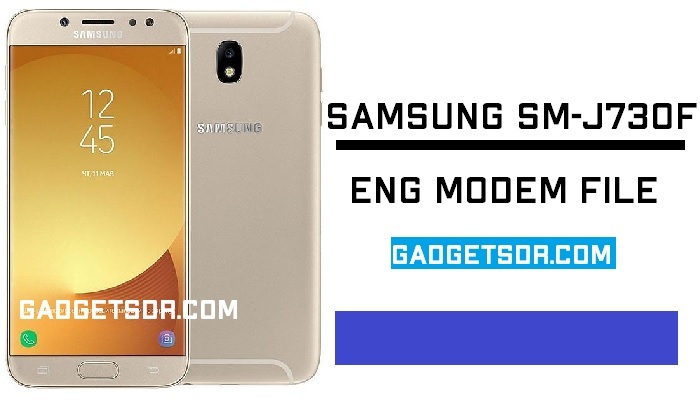 Download Samsung J730F ENG Modem File for restoring original IMEI (Fix Unknown Baseband). Fixed the IMEI Null on your device. Fixed the 000000 IMEI Problem. It helps to fixed unknown baseband problem. Note:- we will update all the ENG Modem files links when a new version of ENG Modem file will release. -Enable OEM and USB Debugging. -Download and extract the ENG Modem File U3. Thanks for visiting us, Comment below if you face any problem With Download Samsung J7 2017 SM-J730F ENG Modem File, we will try to solve your problem as soon as possible. you can check other some tutorial here to help you.